IQ Option VIP Account - Gain Access With a Reduced Minimum Investment Amount! IQ Option VIP accounts are available to non-regulated traders only. Clients from the European Economic Area (EEA) do not have access to VIP accounts. While VIP trading accounts were formerly only available to traders who deposited at least $3,000, VIP status can now be obtained by depositing as little as $1900 (or an equivalent amount in other currencies). This is a much-welcomed reduction that opens the door to many more traders who seek higher profitability and other valuable VIP perks. VIP status can now also be obtained by having a trading volume of at least $15,000 over a period of three months. However, a trader’s VIP status may be revoked if he or she becomes inactive. 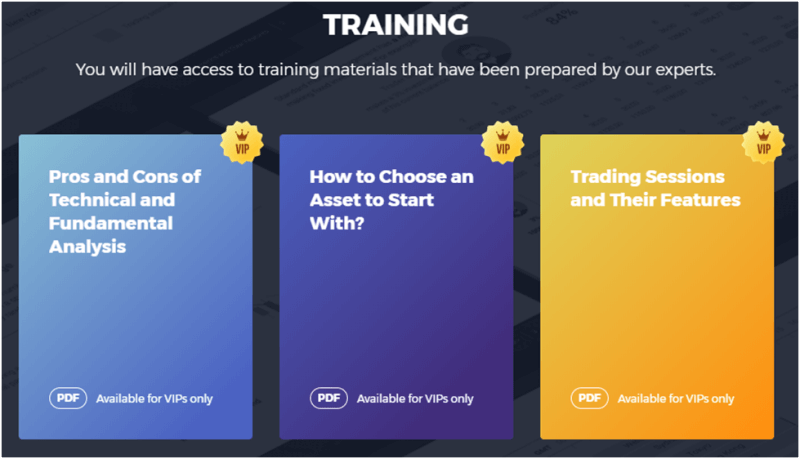 ONE OF THE PERKS OF A VIP ACCOUNT IS ACCESS TO TRAINING MATERIALS PREPARED BY IQ OPTION EXPERTS. Don’t forget that besides increased profitability percentages, IQ Option’s VIP members also enjoy other benefits, including personal tutoring, special training material, and a personal account manager! *IQ Option Ltd. provides VIP status for traders from non-EEA countries.